A stretching coyote emulates just the right yoga pose in this shot taken near Yellowstone Lake on March 27, 2015. 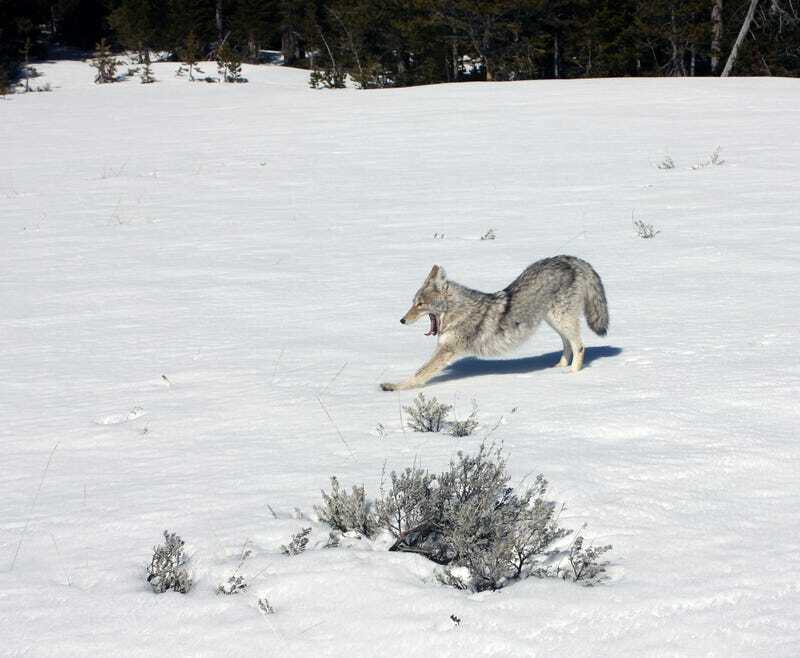 Though the coyote population in Yellowstone declined after the reintroduction of wolves in the mid-1990s, recent data has shown their numbers are on the rise. Photo by Diane Renkin, via the Yellowstone National Park Flickr stream.